7.2.1 Create an evidence based communications framework and strategy for community energy. 7.2.2 Create a strategy for pitching community energy to and building partnerships with key ‘gatekeepers’. 7.2.3 Recruit influential champions to promote community energy. 7.2.4 Engage farming communities to co-create regional development opportunities. 7.2.5 Create a local government and community energy network. 7.2.6 Develop a partnership strategy for targeted allies of the community energy sector. 7.2.7 Build local, state and national mutli-party policy support for community energy. This sub-strategy addresses the need to raise the profile and build broad community support to make community energy ‘mainstream’. Increase key actors’ awareness of community energy and its benefits. Already, community energy proponents and support organisations across Australia have wide social media networks of tens of thousands of supporters to draw on to build the profile of community energy. However, there is a lack of clarity, consistency and cut-through of the messages disseminated by community energy actors. As such, this priority initiative involves the development of an evidence-based communications framework for community energy that can be used by all actors interested in building support for community energy. This framework would include key messages and frames that the sector seeks to promote, as well as suggestions as to how these frames and messages can be adapted to target audiences. In addition, this priority initiative will include resource support to groups to tell their story and the national story of community energy through a range of channels from public speaking to social media to mainstream media. National and global interviews show that targeting communications through mass-membership organisations in their distinct voice and framing will result in greater trust and support. As such, any shared communications framework and strategy should be adapted to the tone and context of each project or organisation delivering it. To achieve the policy, economic and social conditions needed to encourage broad uptake of community energy, engagement with key gatekeepers is needed. Example gatekeepers include but are not limited to network providers, state and federal governments, potential hosts/landowners, energy retailers and finance and funding networks. Along side general profile raising of community energy, this engagement should be informed by a strategy of making clear asks that are within the power of the specific gatekeeper to action, in ways that are understandable, compelling and where possible mutually beneficial. One successful approach to raising the profile of an issue is to recruit credible, well-respected and influential individuals and organisations to champion community energy and help create the circumstances to put it on the public and policy agendas. This priority initiative will identify, recruit and work with a small number of champions to build support for community energy in targeted as well as public arenas. Farmers are one of the key allied stakeholder groups identified in the strategy development process. 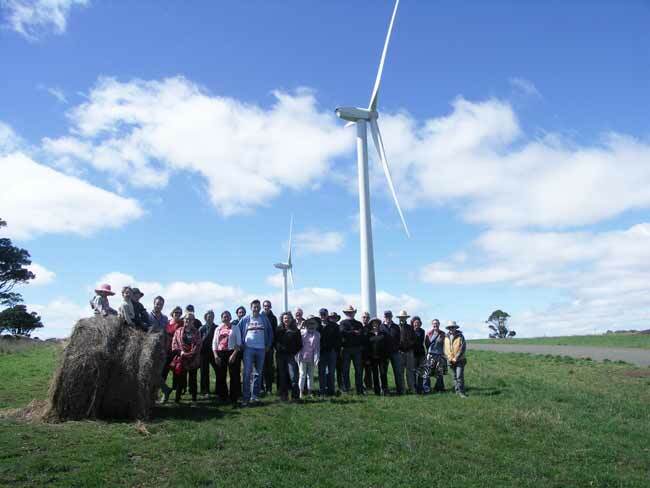 Farmers stand to benefit from and have the ability to add considerable profile to community energy projects. This priority initiative looks at increasing the participation of farmers in community energy projects in order to ensure that more farmers benefit from and champion community energy projects. Local governments can play a large role in the development of community energy. This priority initiative involves the establishment of a network of council actors, to share information and look into how to increase council support for community energy and remove any barriers for councils doing so. Internationally, coalitions of organisations with a common commitment to community energy have played a significant role in raising the profile and building broad support for community energy. Already in Australia the framework for a coalition approach has been developed through the establishment of the Coalition for Community Energy, however there are numerous key organisations and allies that are not currently involved. This priority initiative entails building relationships and awareness raising with identified allied organisations. Examples include but are not limited to local government, commercial renewable energy companies, business networks, NGOs and other mass-membership organisations, community organisations and networks (such as Landcare, social housing providers, Aboriginal Land Councils) and medium-to-large energy users (as prospective hosts or users of community energy projects and generation). Political parties play a significant role in shaping both policy and the public debate within Australia. The breadth of community energy benefits in the social, economic and environmental spheres creates a unique combination of cross-party appeal. As such, working closely with all political parties to ensure they have community energy policy and that they are actively promoting and championing community energy is the focus of this priority initiative. This Strategy serves to overcome key barriers communities face in mainstreaming community energy. International experience shows that informing communities, all levels of government and sectors that are natural allies will help rapidly accelerate the creation of community energy projects that are built by communities to benefit communities. The authors of this strategy seek to capitalise on the community desire to decarbonise their local area. The inclusive and accessible nature of community energy enables a broad population to be able to participate in a clean energy future. Community energy further provides the opportunity to build strong local economies and a strong sense of community and is a key vehicle for bringing wider social license and development to the broader renewable energy sector. While community energy has a wide range of benefits and thus broad appeal, research shows that community groups and other actors need assistance to communicate and raise the profile of this sector. Further, multiple relevant stakeholders and sectors are yet to be brought on the journey of the value and opportunity that the community energy can offer. Indeed, one of the biggest challenges facing community energy projects is that it is such a new concept that many key actors have in fact never heard of it. Educating and raising awareness thus becomes a crucial component of any community energy project. An Australia wide qualitative interview process to gather who and how natural allies can become enablers for the community energy movement. This encompassed: farmers and their representative bodies, renewable energy developers, government representatives, advocacy and environmental organisations, the business and co-operative sector, women’s organisations, religious organisations and educational institutes. An international qualitative interview process with key global leaders in the community energy movement from: Denmark, Germany, United Kingdom and North America. The research looked specifically at profile raising assets, needs and opportunities. This research revealed strong evidence for a highly collaborative, relationship-based approach for raising the profile of the sector simultaneously alongside the other strategies which serve to strengthen it. Good communication and relationship building are key to mainstreaming community energy. There is a willingness and opportunity to form a broad coalition of respected and influential organisations to build the support for community energy with millions of Australians. There is opportunity for education and awareness raising with allies, future partners and their stakeholders to understand the applicability, models and sheer scale of opportunity of community energy and alignment with their aims. There are existing opportunities of grassroots channels via the environmental sector to raise the profile of community energy on the ground that do not require significant financial or human resources to deliver. Strong relationships with local government and/or renewable energy developers will enable the flourishing of new partnership models. Key relationships with natural and important allies of the sector will serve to enable good policy conditions for the community energy sector and are thus pertinent to the other sub-strategies. In the survey undertaken, community energy proponents listed whom they perceived key stakeholders to be that are important for their project and that don’t currently have an understanding of community energy. In order of frequency, proponents listed the main targets to be: local government, network providers, state government, hosts/ landowners, renewable energy developers, energy retailers, local communities, federal government, local business networks, as shown it the Wordle below. Additionally, the interviews with key stakeholders showed that there is a desire and already a movement towards community energy occurring within other untapped networks such as the faith organisations. Connecting with networks like this will enable the mainstream literacy and take-up of community energy. The international research indicated that the Coalition for Community Energy is emerging at an ideal time in the birth of the Australian community energy sector. This research highlights the importance of national collaboration to raise the profile of community energy, as well as delivering successful policy conditions and wide scale community participation.